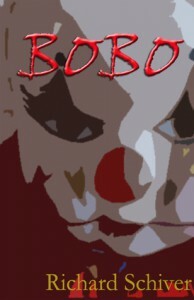 Bobo is a short story, just ten pages long. It's the story of a woman who has had a lot of bad breaks in life and is being held captive. I wondered many times how much of what she related was real and how much was hallucination. I read it as a descent into madness and wondered whether the voices she heard might be coming from a nurse in a mental hospital. The strength of the story is in that it could go either way and the reader, or at least me, isn't sure for a while. There was some language dripping with imagery in some of the descriptive passages. "Trailing oily bubbles of fear..." Phrases like that. It worked well in context and interested me in the author's other writing, although the sample at the end of the story didn't grab me. As short stories go, this was close enough to an episode of The Twilight Zone to keep my attention all the way to the end and to keep me wondering how it would come out. There was a short time when it wasn't clear what side of the good/evil divide Bobo was meant to be on, but it was all pretty creepy in the end, either way.